The Islamic Republic of Iran has won its first ever investor-state arbitration in a decision against Turkish mobile phone company, Turkcell. The tribunal concluded that Turkcell was not a qualified investor under the Iran-Turkey bilateral investment treaty (BIT) given that it had only participated in a tender process (which it won) and had not yet made an investment into the country. It followed, therefore, that Turkcell was not entitled to the protections of the BIT following a change in the law which meant that Turkcell could no longer operate the project it had tendered for. For the reasons explained below, the outcome of the arbitration itself was not particularly surprising. However, the fact that it involved, and resulted in a positive outcome for, Iran is significant and has drawn a spotlight on the 48 bilateral investment treaties which Iran has ratified. Assuming the Iranian economy becomes more open to foreign investment in the future, these protections will be an important consideration for those who consider investing. As the claim was brought under the UNCITRAL Rules, the award itself has not been published, although some details are available in the public domain. In 2004, Turkcell, through an Iranian special purpose vehicle (SPV), was a majority shareholder in a consortium called Irancell. The SPV bid for and was subsequently announced as the winner for the second global system for mobile communication (GSM) license to be awarded in Iran. However, after the announcement of the successful tender, the Iranian government passed legislation requiring that the GSM license had to be run by a company which was majority owned by a domestic Iranian company. Turkcell and its SPV resisted this new legislation and the reduction in its shareholding, but their efforts were to no avail and the SPV was eventually replaced by another international mobile phone operator who was prepared to accept a minority stake. 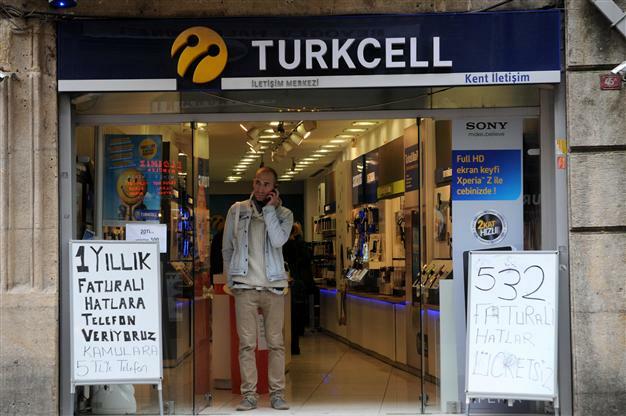 Turkcell then commenced proceedings under the Iran-Turkey BIT (applying the 1976 UNICTRAL Rules, which were the Rules in existence when Turkcell filed its claim in 2009). Turkcell argued that given that it had been announced as the winner of the tender process and it had signed a licence agreement that it therefore held contractual rights in Iran and thus should qualify as a protected investor under the BIT. It then alleged that its investment had been illegally expropriated by Iran, and that it had been denied fair treatment, full legal protection and most-favoured nation commitments under the BIT. However, the tribunal (Neil Kaplan QC (Chairman), Charles N Brower and Mir Hossein Abedian) concluded that rights acquired through a tender process were not in and of themselves an investment and given the lack of any additional “investment” Turkcell was not a “qualified investor” and therefore not entitled to the protections of the BIT. A number of tribunals have followed the Salini criteria, although a number have also sought to distance themselves from it. There are also a number of decisions which suggest that pre-investment expenditures by themselves do not constitute an investment absent a suggestion to the contrary in the text of the BIT (see Mihaly International Corp v Republic of Sri Lanka (ICSID Case No ARB/00/02)). However, while the decision may not be remarkable, the fact that the claim involved Iran is significant. As far as we are aware, this is the first investment treaty decision featuring Iran. Indeed, at a time when some states (and other stakeholders) are questioning whether they should be involved in investment treaty arbitration at all (such as Australia, Bolivia and Ecuador), a positive result for the state in its first experience of the process should hopefully mean the process will be supported by the state in the future. Moreover, while Iran has been the subject of sanctions in recent years, it still has 48 bilateral investment treaties in force which include China, Germany, Indonesia, South Korea, Malaysia, South Africa, Spain, Sweden and Switzerland. There are also another 13 treaties that are signed and not yet in force, including with Egypt. When (if) global sanctions against Iran are lifted and as the Iranian economy opens up to foreign investment, the fact there are a number of BITs in place already is only likely to encourage more foreign investment. More investment may eventually lead to more claims and therefore it is unlikely that the Turkcell case will be Iran’s last.